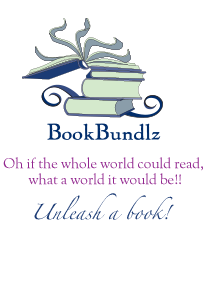 BookBundlz - About Us About BookBundlz - Your book club & reading group resource. - Unleash a Book! Five Years and BookBundlz has come into it’s Own! I can't believe this is the 5th year of BookBundlz. When I look back, I started it on a whim of an idea. I love to read. I love books. I'm in a great book club, but, there was really nothing out there to plan or organize my club! So hhmmm… maybe I'll start a website! And then, believe me, many moments of "what the **** did I do?" later… somewhere in the middle of it all, it became a fun and exciting business. A community with members and book clubs all over the country (and even abroad). A resource. An opportunity to make a difference. So, the "I" turned to "WE" and BookBundlz became a place where…. • And WE realized we can make a bigger impact. A bigger impact as a bigger resource for more fun, more exposure and, most exciting of all, a bigger involvement in making a difference in literacy and education awareness and action. This BookBundlz adventure has been crazy, often very challenging, fun and full of opportunities. We look forward to the next 5 years and beyond. We are so thankful to all of our loyal existing members and can't say enough how much we appreciate you. And we can't wait for all of our new members to join in the book, book club, author and literacy outreach fun! Read. Have Fun. Connect. Get Involved. Give. This also makes us a large collection of well read, educated, intelligent book loving individuals and groups of people in communities all over the country. Which ultimately makes us a force to make an impact in the fight against illiteracy and poverty worldwide.